Queensland Treasury’s GRADStart graduate program is tailored to assist you achieve your career goals. During the 12-month program, you’ll have the opportunity to participate in a variety of training programs, rotate through different work areas, and participate in other activities that will build on your skills and create valuable networks to assist in your career. Most of your learning during your graduate year will take place ‘on-the-job’ complemented by face-to-face training and other learning and development opportunities. As a Queensland public sector employee, you will enjoy all the benefits of working for the Queensland Government, including flexibility and variety of work. Our graduate program is your opportunity to achieve great things for yourself and for Queensland by working with highly skilled professionals in a diverse and flexible environment. From the moment you join our team, our focus is on supporting you to reach your full potential. When you perform at your best, Queensland does too. We are the government’s expert on state finances and the economy. With Treasury, you’ll have the opportunity to work on a variety of projects and contribute to solutions that have a lasting impact on Queensland’s prosperity. networking opportunities, both internal and external to Treasury. As a GRADStart candidate, you will have a drive to succeed, initiative, innovation and great analytical skills. You think strategically, communicate with influence and are great with people. From time to time, we also need people from other specialist fields, so if you want to work with us, please consider applying even if your field of study is outside the core areas listed above. an Australian or New Zealand citizen, or an Australian permanent resident. All nominated applicants will be required to provide written consent to criminal history checks. 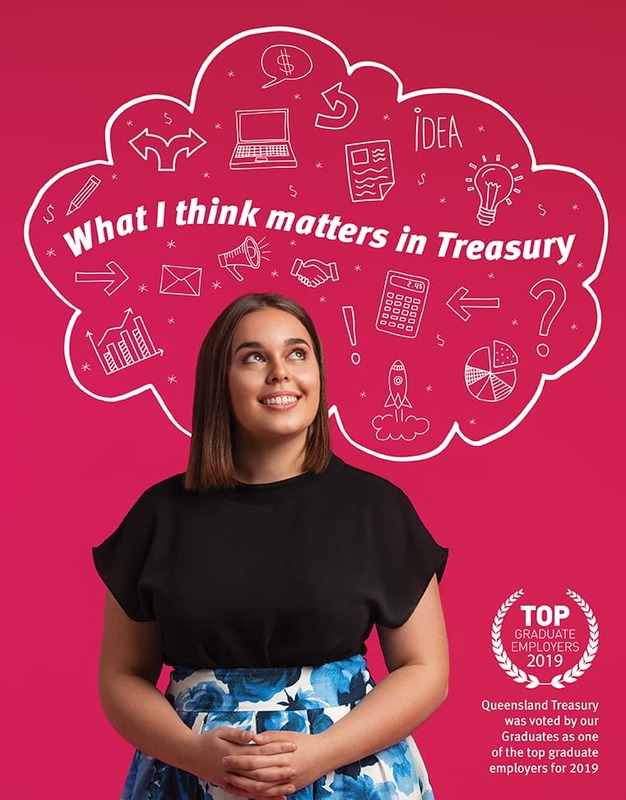 Applications for Queensland Treasury’s 2020 Graduate Program are now open. To apply, register on the Queensland Government Graduate Portal by Friday, 26 April 2019. The Queensland Government Graduate Portal is your gateway to a wide range of graduate positions and student opportunities in the Queensland Government. For more information about the Treasury’s GRADStart graduate program recruitment process, email gradprog@treasury.qld.gov.au or call (07) 3035 3519.